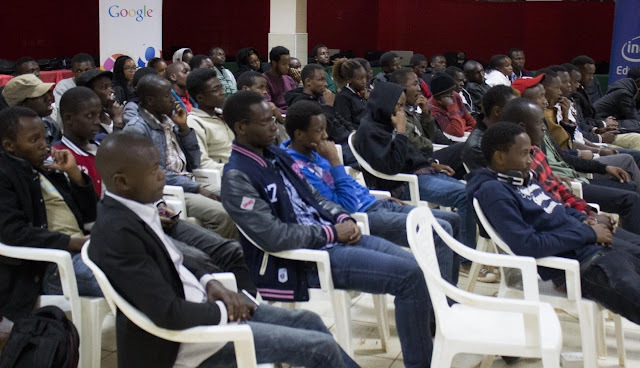 GDG DEVFEST NYERI was another great success from GDG Kimathi University. It was a three-day event held from 11th November 2016 to 13th November 2016 at Dedan Kimathi University of Technology. The goal of the event was to push the limits of what we previously achieved, by organizing a three days’ event that features a technical Session where developers get hands on training, in depth tracks on relevant technical information on the latest Google technologies and products, a Hackathon where developers can build product on Google Cloud Platform and a Buildathon where developers can utilize different Microcontrollers and sensors including Arduino, Raspberry pi and Intel Edison. After the Buildathon & hackathon, developers presented their IoT solutions to Judges. DevFest Nyeri 2016 boasted of entirely new Drones all built from scratch, competing to reveal a never-seen-before performance at the Game of Drones. Additional sessions involved talks on women within the Technology space. There was also an introduction to the new Google IoT Developer Prototyping kit, the new Seeed Studio BeagleBone Green Wireless board which is tailored specifically for Google Cloud Platform and talks about the Google beacon platform. We had an amazing time working with different organizations, start-up companies, amazing volunteers and sponsors to reinforce the developing tech ecosystem. They worked with us worked with us from the start till the end of the event. 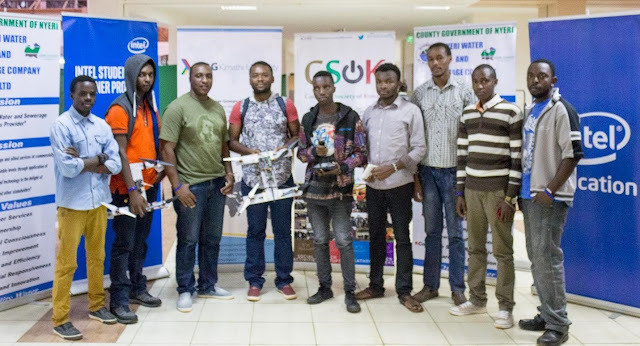 We got awesome collaboration with the Tech community around Mount Kenya region, and also awesome sponsorship for the Three day DevFest event. The DevFest hackathon was a 48-hour weekend-sprint development activity where the participants collaboratively worked together to address specific African civic challenges. 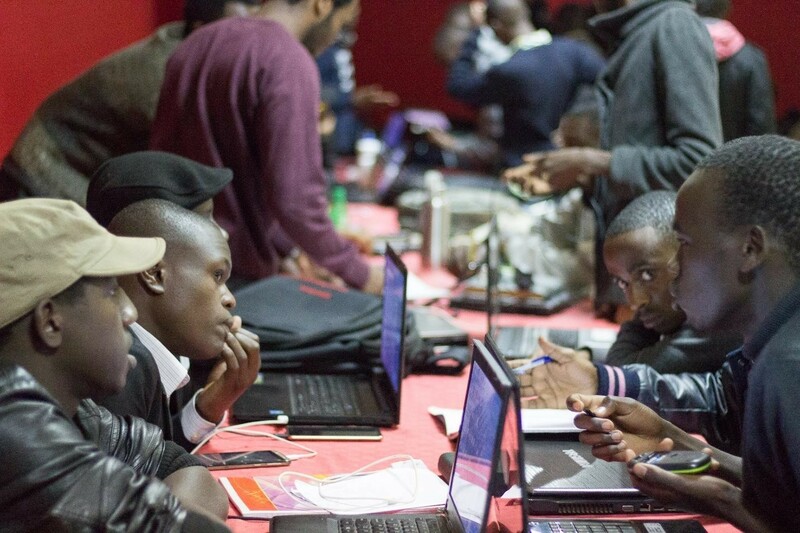 The event was aimed at bringing together software developers, designers, data geeks, marketers and citizens of all types to create fun, interesting and useful civic tools that will go to solve some of Africa’s greatest challenges. Projects that were being targeted include apps for encouraging farmers to trade online, provide an efficient way of managing health records, tracking public infrastructure, improve local security and county government utilities such as parking and business licensing, encourage use of digital content for education, and understanding county government budgets. The participants engaged in 48 exhilarating hours of non-stop coding, working on 11 innovative solutions around agriculture, health, security and public utilities. We had an idealization and team formation process. After this, developers began to hack into actualizing the suggested solutions. During the same period, the drone teams finalized on their projects. We had rock stars speakers and amazing women leaders speakers. They brought the energy and life into our Developers Festival. Hacking continued for the whole day. Teams improved on their products. We had a great session with Android insights facilitated by Valentine Rutto with an overview on what’s new on Google Cloud Platform. 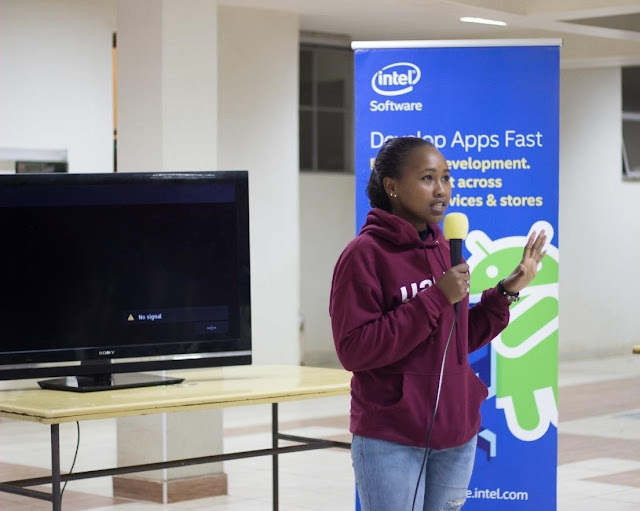 In a continued effort to empower women participation in the Google Developer Community, the event included a session on ‘women in tech’ facilitated by Margaret Ondeng’, the Women Techmakers Lead for GDG Nairobi who strongly advocates for women involvement in STEM. She reverberated how Google was inspiring the next generation of tech women through their Women Techmakers program, and championed for an increase in women attendance in such events. We then had a great talk by Moringa School on how to become top class Software Developers. They train high-potential, pro-active students to learn how to code from a world-class curriculum with top quality instructors and mentors to support them in the process. We were extremely lucky to have a live Hangouts On Air with Aniedi Udo-Obong, the Google Developer Relations Manager, Sub Saharan Africa. He gave an inspiring talk on how to get started with programming and why GDG is a great community. We are grateful for all he added to our event. We then had a firebase Codelabs session with Denzel Wamburu. Developers learned how to use the Firebase platform to easily create Web applications and how to implement and deploy a chat client using Firebase. Thereafter, we had a talk about how developers can use a combination of Intel Edison, Firebase and Jonny five, (a Node Js framework for robotics) for IoT prototyping. While meeting common needs can be challenging at times, IoT development platforms such as Google Firebase provide services allow developers to meet many of these requirements. 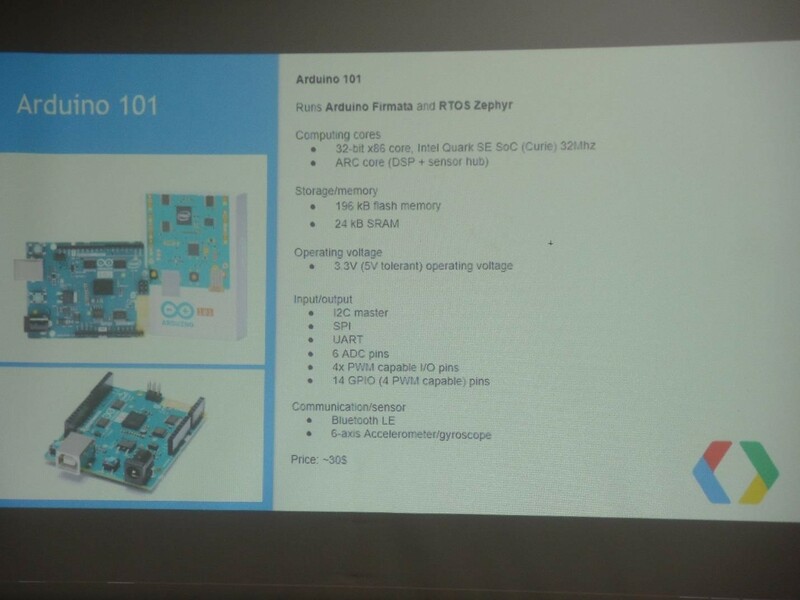 They were introduced to diverse different microcontrollers including, Intel Edison, Arduino Uno, Arduino 101, Raspberry pi and the new Google IoT Developer Prototyping kit, the new Seeed Studio BeagleBone Green Wireless board which is tailored specifically for Google Cloud Platform. They were also shown how Google beacon platform enables developers to manage their beacons remotely, integrate with Google services and help users' devices to discover content and functionality across Android, native apps and the web. They were taken through the process of getting started, where they can get the development kits and the kind of applications they can develop with the beacons. They were also introduced to the The Zephyr Project. The Zephyr Project is an open source, real-time operating system released earlier this year by the Linux Foundation. It supports x86, ARM, and ARC processors on a growing number of boards, such as the Arduino 101, Minnowboard Turbot, NXP FRDM-K64F, and Arduino Due. This session training involved presentations and hands-on demos. The platform was open to attendance by any interested party. The audience was taken through how to install and initialize the Node-RED server on the Intel Edison by Chris Barsolai. The main objective was to demonstrate to makers and developers on how to leverage Node-RED and its simplistic interface and workflow to go about realizing the Internet of Things, and how it can speed up their idea-to-prototype transition. Firstly, it was shown how one can install Node-RED on node.js platform running on the Edison, and consequently running the Edison to as a server to serve up Node-RED to the browser. In line with the ISP quarterly theme ‘Smart Homes, Farms and Cities’, the audience was taken on how to access the Grove Kit sensors and actuators via Node-RED. The Seeed Studio Sensors npm package was installed onto the Edison, and the audience got to see how the nodes were added onto the Node-RED dashboard. The MQTT protocol was also dwelt on, with attendees being shown on how to use test.mosquitto.org as an mqtt broker that lets one publish sensor updates that all delivered to client subscribed to that sensor. Given there was only one Intel Edison present during the session, a step-by-step demo was first done by the instructor, after which groups of students got to interact with the Node-RED on Edison in shifts. The hackathon continued until Sunday 13th November, 2016. After this, developers laid down their tools and began to prepare for the final presentation and demos. The Buildathon continued until Sunday 13th November, 2016.. After this, developers began to prepare for the final presentation. Upon completion, each team pitched their idea, and gave a demo on the functionality of the idea. At exactly 2pm, hacking was officially over. Eleven projects were then presented at the pitching session. At the end of it only 3 teams went home with prizes. While the judges deliberated, attendees kicked back, grabbed a brew and networked. Drone Racing is the Next Consumer Fad. This was the climax of our DevFest. 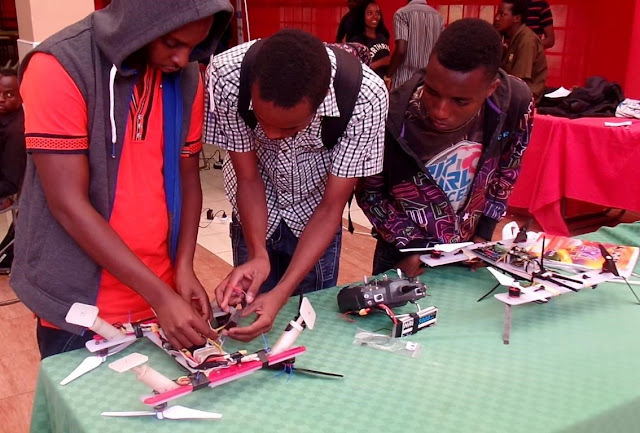 After the Buildathon, we brought the best pilots together to fly the two quadcopters head-to-head. Both drones used a single frequency. Walking into a drone-racing arena is much like walking into a 100m race. The audience looks on as pilots on either side make last-minute preparations, swapping out propellers and tucking in loose cables before the round begins. With a smooth flick of the joysticks, the drones zoomed into the air. To avoid interference, they were flown one at a time with the duration they take to complete 40m recorded. During the race, a moment’s carelessness takes a warriors to the ground, its propellers torn and its motors screeching in a futile attempt at liftoff. Judges then left the arena to deliberate. A 10-minute pitching session was allocated to each team. One after the other, teams showcased their ideas and gave knee-deep presentations on their ideas and progress made throughout the hackathon. Judges were treated to a difficult decision-making given majority of the teams had made significant progress and whose ideas were equally as good. 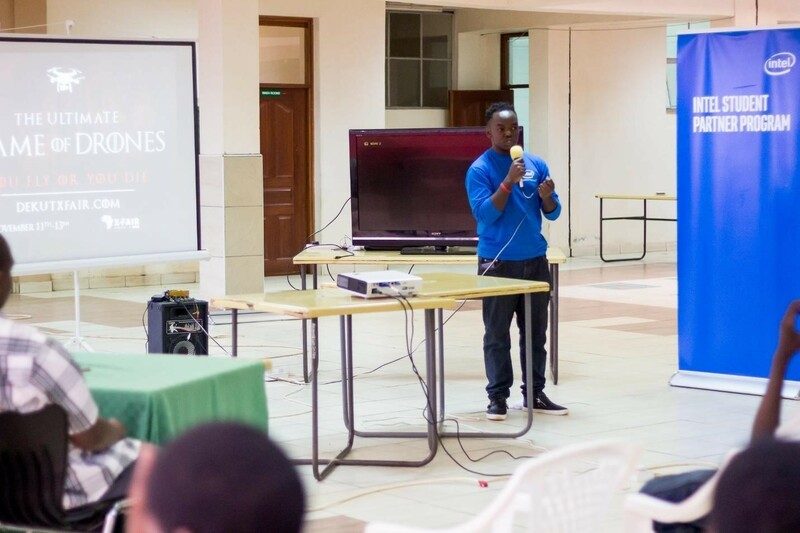 After the pitching sessions and announcement of overall winners, Anthony (ISP JKUAT) held a talk on Intel’s mission in Africa and gave the audience insights into making an impact on the society using technological innovations. At the end of the event, we were able to achieve almost all our objectives. We ensured that participants were skilled with handy information on the Google & Intel Architecture. 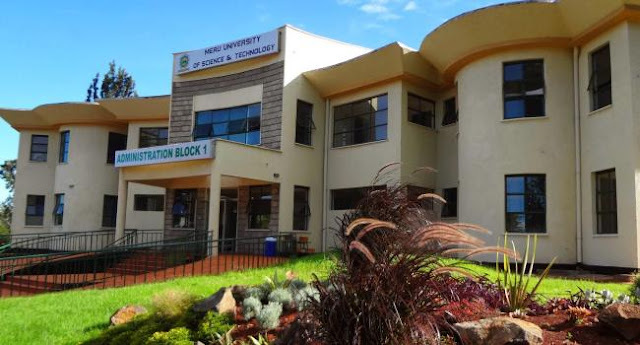 We were able to bring out the hidden ideas and talents from developers in our community and submit them to the Dedan Kimathi University Incubation Centre for incubation. The hackathon gives three things: opportunity, environment and experience. Opportunity: to seek any kind of problems one ever thought of and tackle with all the resources present under one roof – technical and mentors. Environment: to encourage and get inspired by everyone around us. Experience: no need to say anything. The experience of working on such projects and creating a network with great minds is priceless. One of the things that our community pioneers cared so much about was sharing the GDG Love with everyone — reaching out to anyone interested about Google technologies and bringing them together to share ideas, to collaborate, and to learn. Members of our community are always eager to offer support, experience, and mentorship to different communities. On 8th October 2016, The Computer Society of Kimathi led by Billy Rotich, Intel Student Partners led by Chris Barsolai, Microsoft Student Partners led by Arthur Otieno, and Officials from Dedan Kimathi University Incubation Centre, all members of our GDG Community left for the Meru University of Technology with a mission. Brainstorm ways to engage both communities in advancing the local tech ecosystem and Foster collaboration. During the event, we had a single session with 5 different speakers. We first had Kenneth Njihia from The DeHUB. He talked about how their space helps to incubate research innovations. He also explained how vibrant communities such as GDG Kimathi University engage in weekly programs that involves business talks, technical meet-ups and creatives’ sessions. 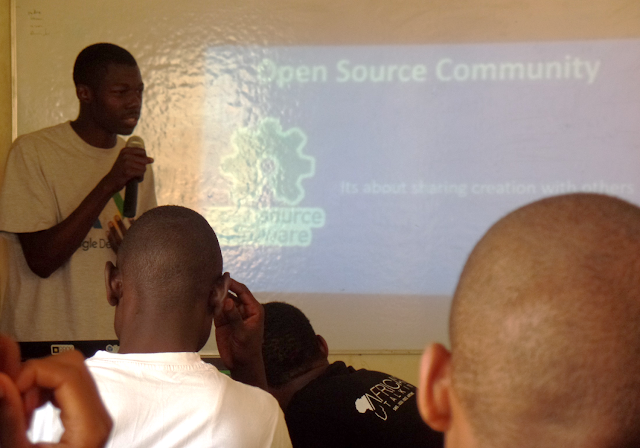 He was followed by Ngesa Marvin who talk about Open Source Community and Google developer Groups. He explained how enthusiastic developers interested in learning more about new technologies can come together to learn, practice, collaborate and share experience about Google technologies. He also explained how they hold meetings and organize events like Code Sprints, Hackathons and schools challenges. He clarified that the meetings are and will always be free and open to anyone. He encouraged them to form and join such communities. He was immediately followed by Evelyn Kaberere who gave a talk on what Women Tech Makers is all about and how the program provides visibility, resources and community. She gave them various reasons why they needed to be programmers to encourage them indulge more into code. Various Women Tech Makers videos were shown about various women in the Tech industry. 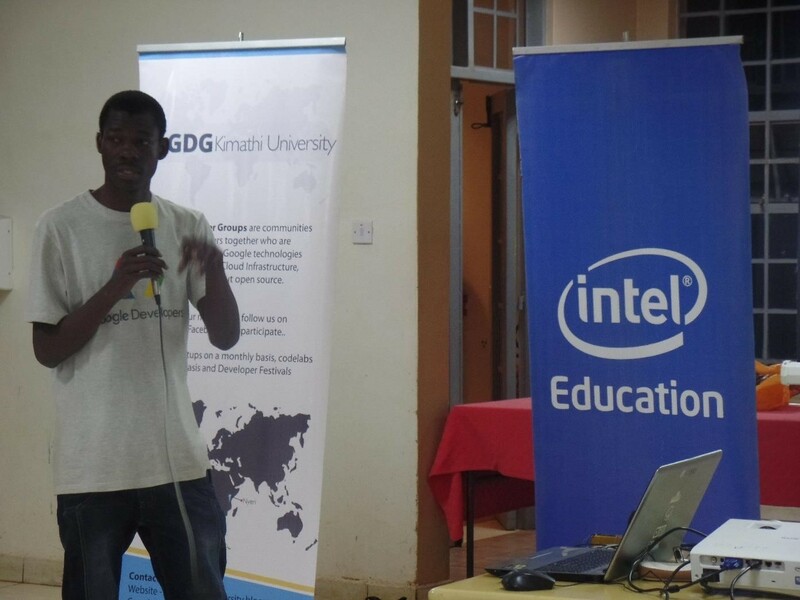 Kithinji Muriungi then introduced microcontrollers used in the Internet of Things projects. He explained what microcontrollers are and how they work. These are basically self-contained system with peripherals, memory and a processor that can be used as an embedded system. Most programmable microcontrollers that are used today are embedded in other consumer products or machinery including phones, peripherals, automobiles and household appliances for computer systems. He then explained the different types of microcontrollers such Intel Edison, Arduino and Rapbery pi. He talked about how developers can chose the best micro controllers for their projects. He then listed the various applications of microcontrollers and the projects they have worked on. He also discussed how developers could start working with them. We then had a talk on Google’s recently released library for Machine Intelligence, TensorFlow. Kennedy Jonyo explained how its flexible architecture allows developers to deploy computation to one or more CPUs or GPUs in a desktop, server, or mobile device with a single API. TensorFlow was originally developed by researchers and engineers working on the Google Brain Team within Google’s Machine Intelligence research organization for the purposes of conducting machine learning and deep neural networks research, but the system is general enough to be applicable in a wide variety of other domains as well. Lastly we had a lengthy discussion and a mini — fireside chat where developers were free to ask any question that from the whole team. This include how we started, what keeps us to gathers, what motivates us among others. We hope to work together, organize cluster events and see them grow into successful communities. Cluster events normally result into larger and potentially more impactful events. We hope to reach out to as many people as possible and share our pioneer’s vision with them — Sharing the GDG Love. Wes shall definitely keep you posted. Stay tuned!